Situated in a shopping district, this motel is 1.2 mi (1.9 km) from Amish and Mennonite Heritage Center and 5.6 mi (9 km) from Yoder's Amish Home. This family-friendly Berlin hotel is located in a rural location, within 1 mi (2 km) of Amish and Mennonite Heritage Center and Schrock's Amish Farm & Village. The Farm at Walnut Creek and German Culture Museum are also within 6 mi (10 km). 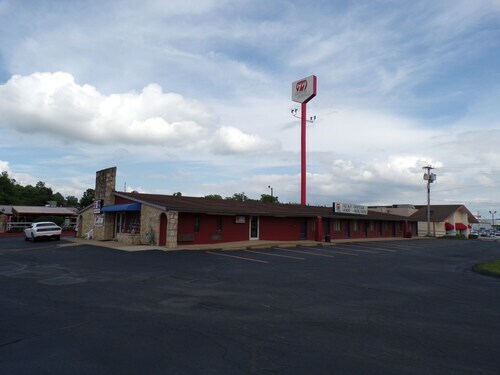 Situated in Millersburg, this hotel is 0.1 mi (0.2 km) from Mt. Hope Event Center and within 6 mi (10 km) of Amish and Mennonite Heritage Center and Schrock's Amish Farm & Village. Yoder's Amish Home and German Culture Museum are also within 9 mi (15 km). 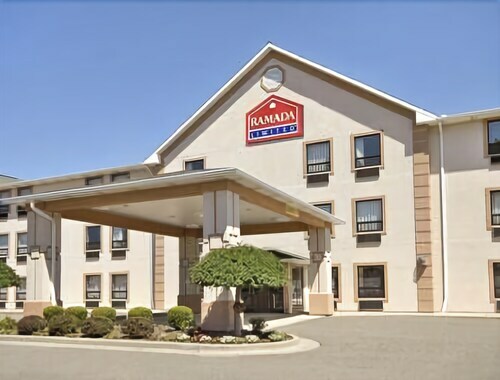 Situated in Walnut Creek, this hotel is 0.2 mi (0.3 km) from German Culture Museum and within 3 mi (5 km) of The Farm at Walnut Creek and Yoder's Amish Home. Schrock's Amish Farm & Village and David Warther Carvings are also within 6 mi (10 km). Located in the heart of New Philadelphia, this motel is 2.1 mi (3.4 km) from New Towne Mall and 2.6 mi (4.2 km) from J. E. Reeves Victorian Home & Carriage House Museum. Warther Museum and Famous Endings Museum are also within 6 mi (10 km). 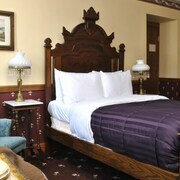 Situated in Dover, this hotel is within 1 mi (2 km) of Warther Museum and Famous Endings Museum. J. E. Reeves Victorian Home & Carriage House Museum is 2 mi (3.2 km) away. 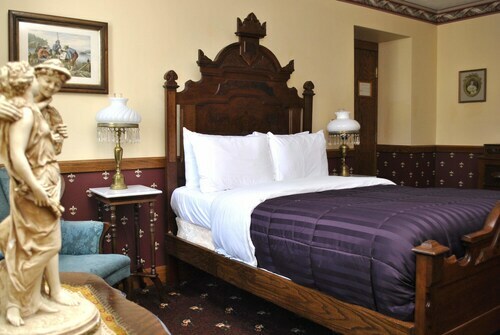 Situated in Uhrichsville, this hotel is within 9 mi (15 km) of Dennison Depot Railroad Museum, Schoenbrunn Village, and Performing Art Center. Trumpet in the Land and Gnadenhutten Park & Museum are also within 9 mi (15 km). 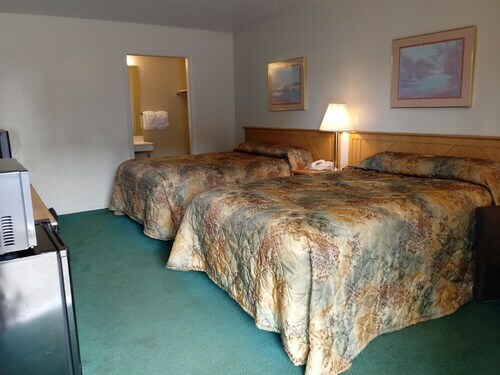 Situated in New Philadelphia, this motel is 3.1 mi (5 km) from Warther Museum and within 6 mi (10 km) of Schoenbrunn Village and Performing Art Center. Trumpet in the Land is 5.1 mi (8.2 km) away. Located in the heart of Berlin, this motel is 1.2 mi (1.9 km) from Amish and Mennonite Heritage Center and 1.3 mi (2 km) from Schrock's Amish Farm & Village. German Culture Museum and Mt. Hope Event Center are also within 6 mi (10 km). 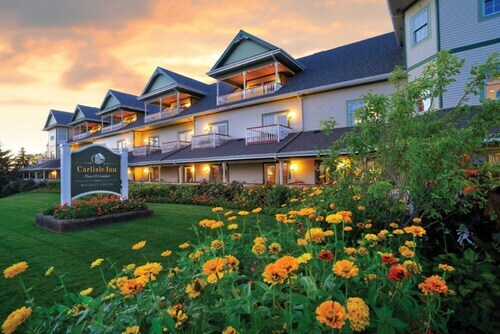 Located in the heart of Millersburg, this hotel is within 9 mi (15 km) of Black Diamond Golf Course, Amish and Mennonite Heritage Center, and Schrock's Amish Farm & Village. Mt. Hope Event Center and German Culture Museum are also within 12 mi (20 km). 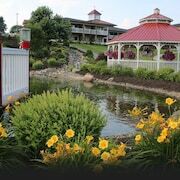 Situated in Sugarcreek, this hotel is within 3 mi (5 km) of Breitenbach Wine Cellars, World's Largest Cuckoo Clock, and Alpine Hills Historical Museum. David Warther Carvings and Warther Museum are also within 9 mi (15 km). How Much is a Hotel Room in New Philadelphia? 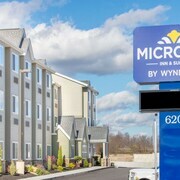 Hotels in New Philadelphia start at $50 per night. Prices and availability subject to change. Additional terms may apply. So, you're looking to find accommodation in Northeast Ohio, particularly close to the New Philadelphia area? 9 lodgings are listed within 6-mile (10-kilometer) of the New Philadelphia city center. Find the attractions right by the business district of New Philadelphia. 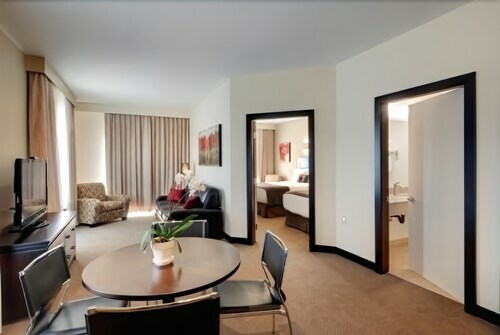 Travelocity-listed rooms found around the area include Holiday Inn Express Hotel & Suites New Philadelphia and Schoenbrunn Inn & Conf Center an Ascend Hotel Collection. Looking to stay in a more laid back area but still within a convenient commute to the city center? Sitting just 20 miles (35 kilometers) away from the CBD district of New Philadelphia, is situated Millersburg. 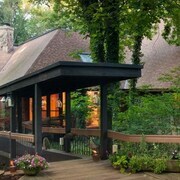 Here you can reserve a room at the The Inn At Honey Run and Holmes with a View. Or else, the is nestled 17 miles (28 kilometers) from the busy center of New Philadelphia of the relaxed and convenient neighborhood of Newcomerstown. Students, families and those on a budget can choose from great New Philadelphia hotel and apartment options that won't raise the bank manager's eyebrows. Other affordable accommodation options include the Ramada Strasburg/Dover and the Red Roof Inn Uhrichsville. The Atwood Lake Resort is situated 11 miles (18 kilometers) from the middle of New Philadelphia. Another alternative is the Hampton Inn New Philadelphia, which can be found about 2 miles (2 kilometers) away. Alternate places to rest your head are the Country Inn and Suites Dover, OH and the Comfort Inn. Looking to explore further afield? Northeast Ohio is home to many options. Familiarize yourself with Northeast Ohio's traditional villages and art galleries or see the area's rural landscapes and rolling hills. Common activities in this pocket of United States of America include hiking and zip-lining. Downtown Akron is 40 miles (65 kilometers) to the north of New Philadelphia and is where you'll find Akron-Summit County Public Library and National Inventors Hall of Fame Museum. The Holiday Inn Express Akron South Airport Area and Rodeway Inn are some of the comfortable long and short-stay choices in Downtown Akron. 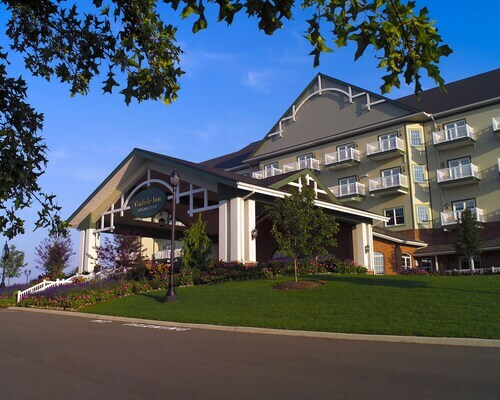 55 miles (87 kilometers) northeast of New Philadelphia, you can find West Youngstown, which features the Country Inn & Suites By Carlson, Youngstown West and Fairfield Inn and Suites by Marriott Youngstown. The Our Lady of Lebanon Shrine and Hollywood Gaming Mahoning Valley Race Course are a couple of the frequented points of interest to discover when in West Youngstown. Akron-Canton Airport is a closeby airport, and can be found 30 miles (47 kilometers) away from central New Philadelphia. Travelocity-listed hotels close to Akron-Canton Airport include Best Western Plus North Canton Inn & Suites and Microtel Inn & Suites by Wyndham North Canton. 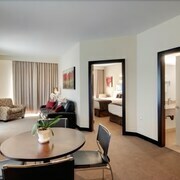 The room was very clean, the staff was very friendly. We loved our balcony! Staff was very helpful and courteous! Rooms very clean and we'll kept. Enjoyed being able to walk to the restaurant, and order room service. Also the added amenity of evening snacks. Very nice property. Clean spacious rooms. Very friendly staff. Close to everything. Great value. Highly recommend! Liked everything gBreakfast was awesome .loved the pancake maker. It was a nice room and friendly staff. My husband and I would go back It was close to Amish country.